Two sizes, two directions, two pinwheels! A real treat waiting for color. 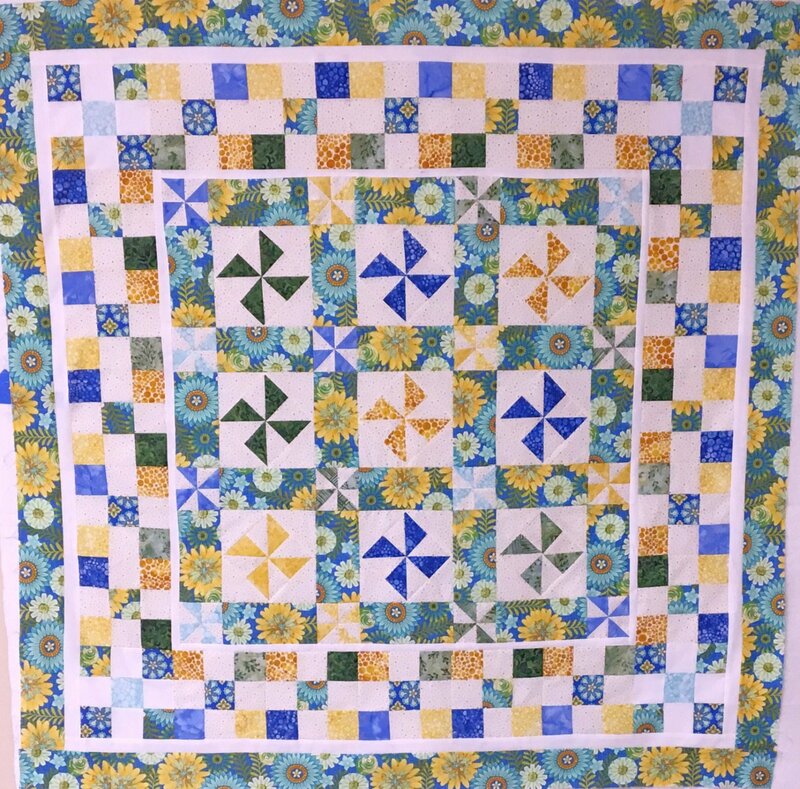 Blocks are made with easy pinwheels and framed with a pretty sashing and a smaller pinwheel. Surrounding the quilt is a 9 patch border - easily constructed with strips and a colorful group of prairie points for a little sass! Quilt can be made in topper size or large lap, get ready to enjoy making a fun quilt. Color kits are available for additional cost. Lap size 46 x 60"